In the week before our opening we wanted to get people excited about the Gallery and the concept of seeing art in everything. 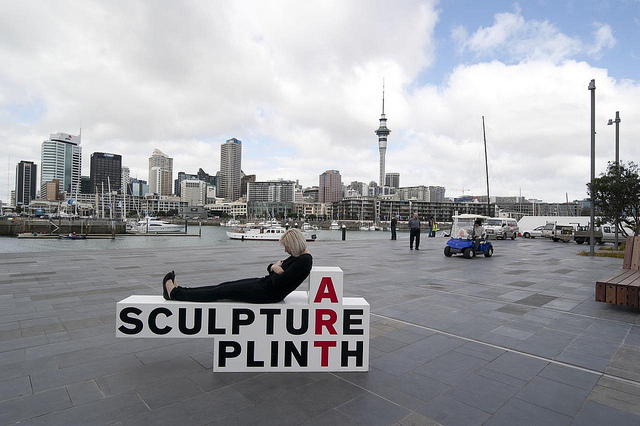 So we placed an intriguing piece of furniture near the Viaduct Events Centre in the new Wynyard Quarter development by the waterfront - A SCULPTURE PLINTH. 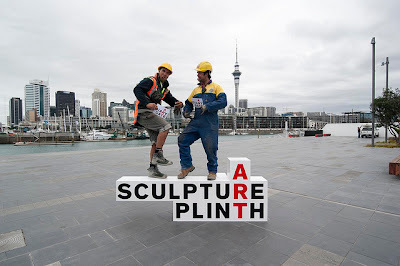 With a photographer on hand and some guides to get the plinth party started, we turned passers-by into living works of art. 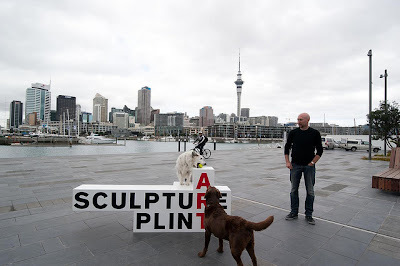 ... and our photographer even crept out from behind the camera to strike a pose. 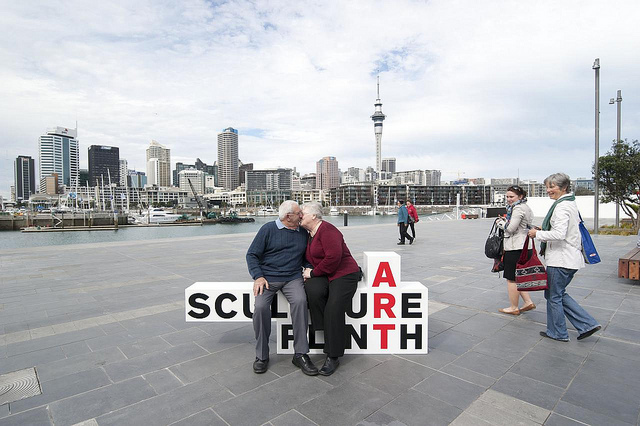 or just a cosy kiss. 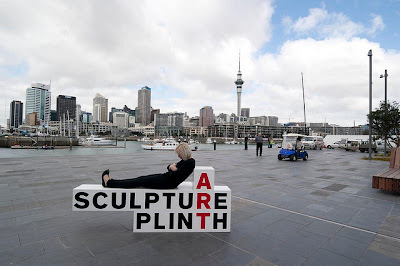 Makes you ponder, doesn't it? 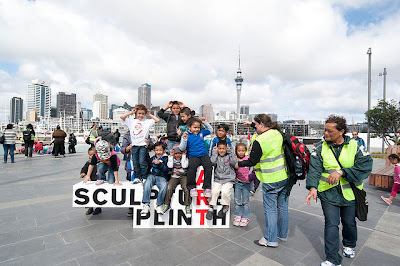 You can see all the images on the Gallery's Flickr page. 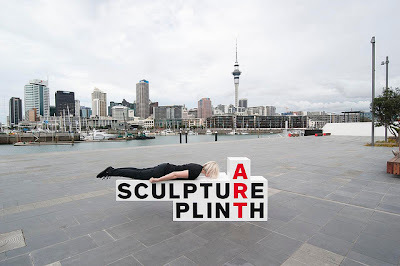 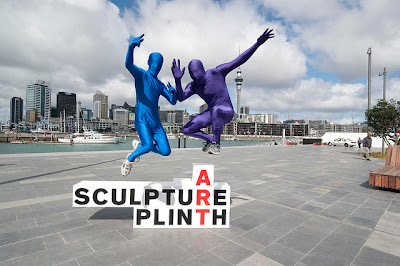 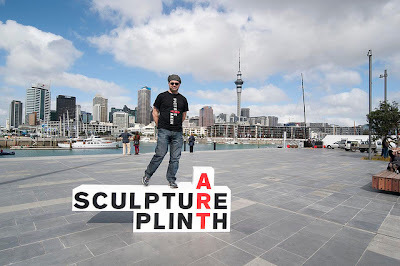 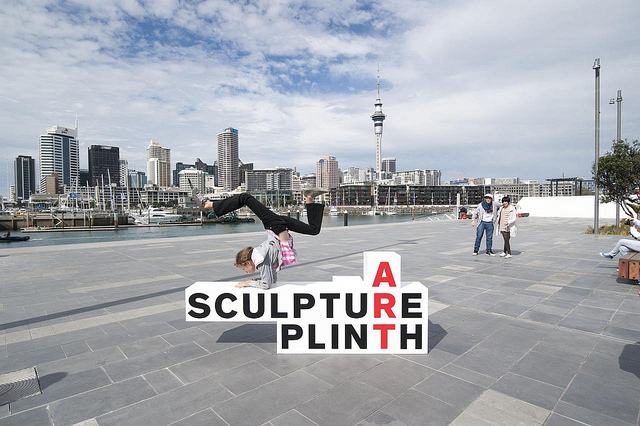 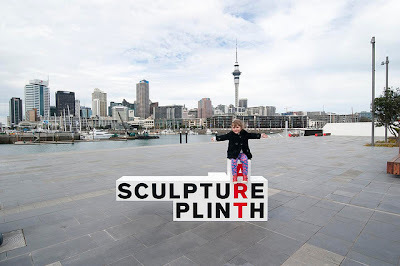 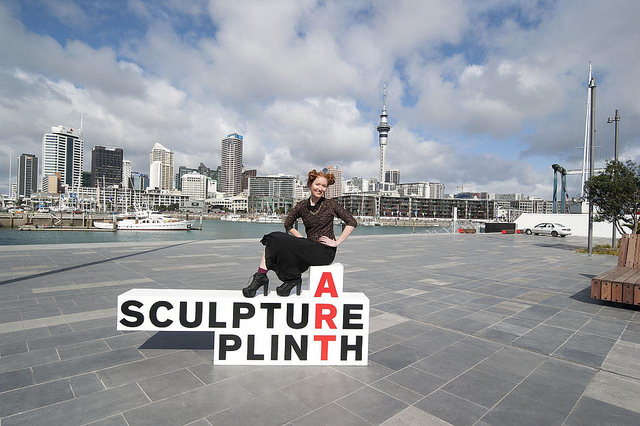 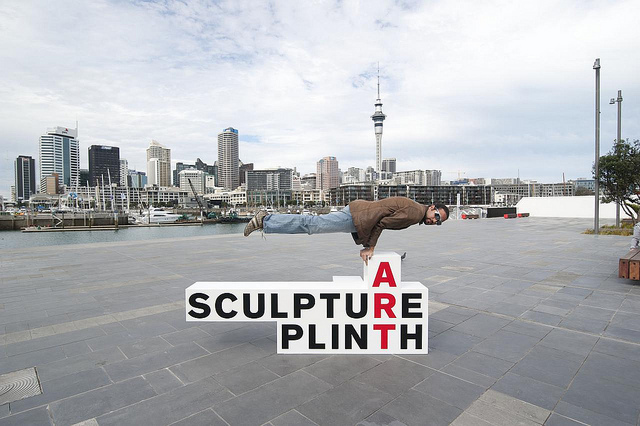 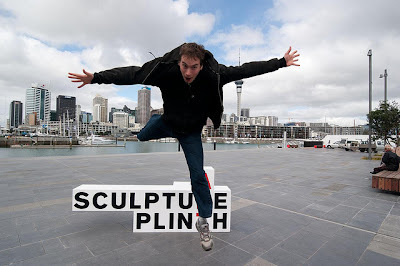 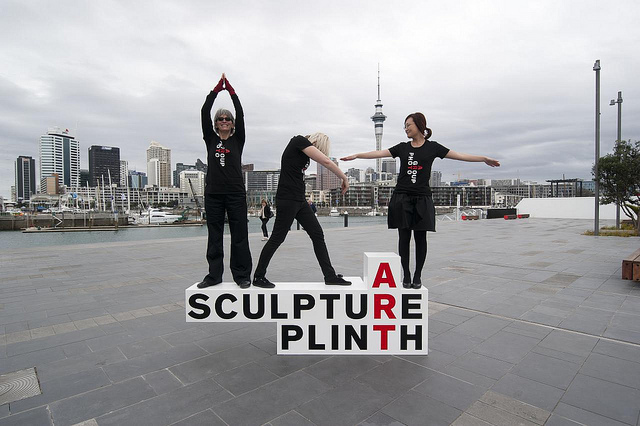 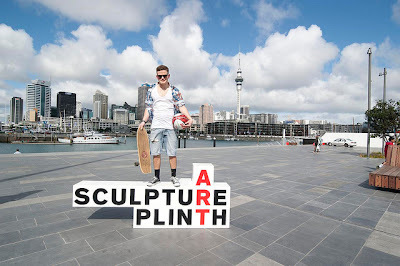 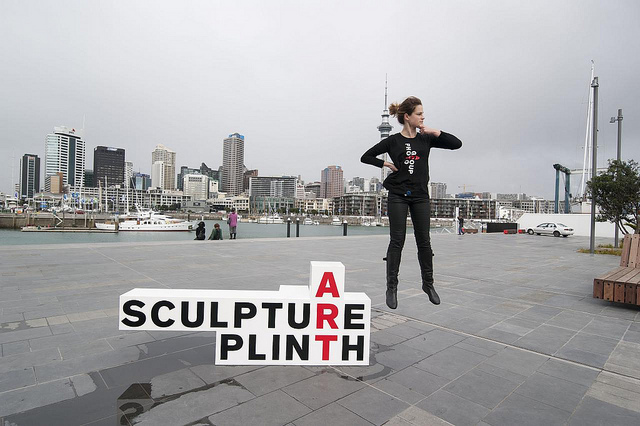 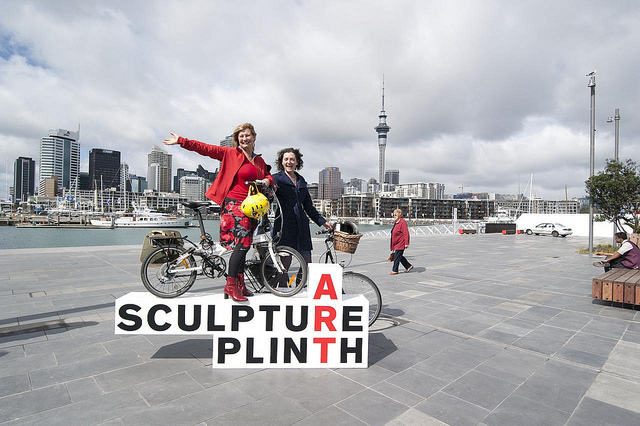 The plinth is currently stationed on the Gallery forecourt where you're welcome to take your own photos - if you'd like to share them with us, you can email them to media@aucklandartgallery.govt.nz and we'll upload them. 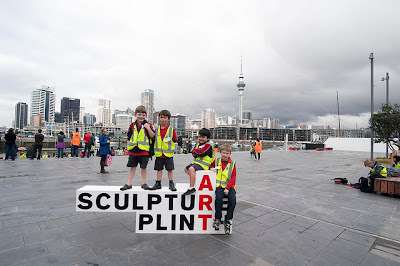 Are all the photos up on Flickr? Cos I remember my friends and I posed for it but we couldnt find it there. Cheers.